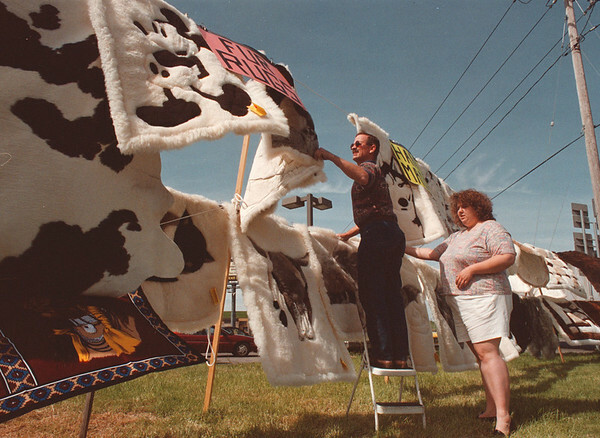 5/28/97 fur rugs --Takaaki Iwabu photo-- Earl Ward, left, shows fur rugs to Shannon Costa of Grand Island at Connecting Blvd. and Niagara Falls Blvd. Wednesday. Ward, from Jacksonville Florida, travels all over the States to sell imported fur rugs, cow hides and sheepskin.